Thank You Oregon Wine Press ! vineyard 4265 N. PACIFIC HWY W.
Our goal in establishing the vineyard was to retain, to the best of our ability, the wonderful natural beauty of the surrounding area. In researching the local geographic history we discovered that our planned vineyard property lies very close to a special local landmark, the “Holmes Gap” and therein lies the selection of our vineyard name. Holmes Gap and the adjacent Holmes Hill were named in honor of Horatio Nelson Viscount Holmes and the property he owned surrounding them. Horatio, born in Virginia in 1813, moved to Illinois and married Nancy Porter in 1837. In 1848, Horatio, Nancy and their three children made the early pioneer journey to Oregon. 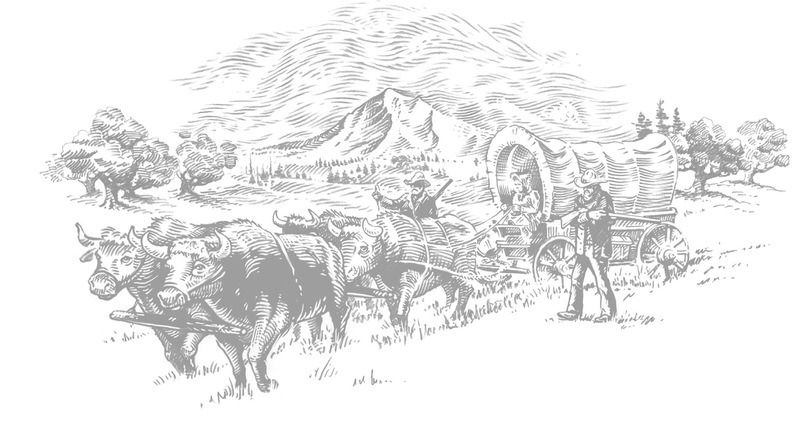 Horatio led his family, their wagon and oxen team to his 640 acre land claim located 3 miles south of the community of McCoy in the Willamette Valley. Here he built a small cabin and started his Oregon adventure. Holmes Gap is the area south of McCoy Junction (between Amity and Rickreall) where today the railroad crosses Highway 99W. In the past, Holmes Gap was used as a geologic landmark by the early settlers traveling from the port city of Portland to the capital city of Salem. It was said that “one should pass through Holmes Gap then head East at the river to reach Salem”. Horatio and his family worked hard developing a prosperous farm consisting of both agricultural crops and livestock. In 1854 Horatio found a small outcropping of coal on his land and initiated an effort to commercially mine the product. He was instrumental in creating the rights for a new railway intended to carry coal from his land the community of Cincinnati (now Eola) which claimed to be at the time, “the head of navigation on the Willamette River”. The railroad was chartered by the Territorial Legislature in 1854 as the “Cincinnati Railroad Company” and the the sale of shares was authorized. Unfortunately the coal was soon found to be of poor quality and was never mined. The railroad was never built. Horatio was very involved in state politics and served three terms as a member of the Oregon Territory, House of Representatives, for Polk County as well as a Representative for both Polk and Tillamook Counties. During this period, Horatio and his family continued to develop their farm property. They built a large multi-storied period home near Holmes Hill. In an article from the December 5, 1918 “Oregonian” the property was described as “the magnificent Holmes farm, not far from McCoy” and “one of the display places of the Willamette Valley”. HOLMES – At the residence of his son, Dr. H. R. Holmes, in this city, on Friday, March 26th, 1886, at 5 p.m. H.N.V. Holmes. Yes, kind readers, another pioneer’s feet have grown tired by the way, and he has, after 72 years of active life, lain down forever. Kind father, good neighbor, worthy citizen, true as steel to his friends, kind and generous to a fault, never deceived anybody, never went back on his word, met you over half way in good deeds and kind words. He will be buried Sunday the 28th, at the burying ground of his children, on the old George Gibson farm, on the hill north of Eola, Polk County, Oregon. NOTE: His grave was later moved to the Pioneer Cemetery in Salem. The information is utilized so that we may offer a superior level of customer service that reflects the quality and limited productions of our wines. 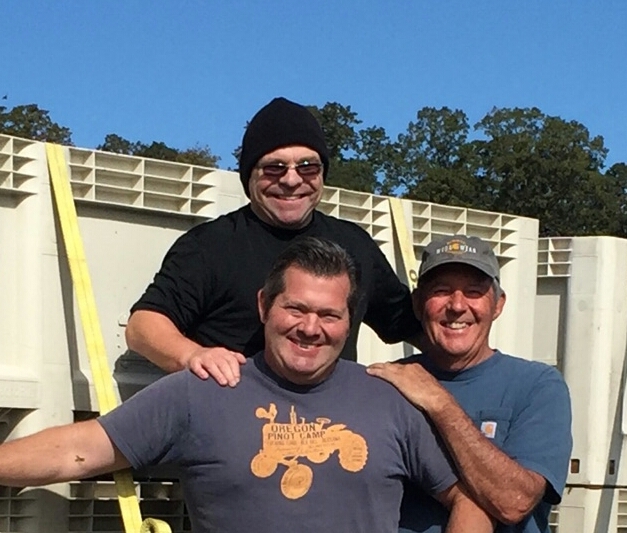 Some of our wines will be made available only through private notification from Holmes Gap Vineyards. Email communications to our mailing list subscribers are sent only to those who have given permission to send them information or contacted us for general information. Any mailing list subscriber can remove his or her name from our outbound email or print communications schedule at any time using this website or by sending an email to jack@holmesgap.com with the title UNSUBSCRIBE in the Subject line. All orders placed via this website require a credit card upon completion of transaction. to finalize shipping and payment.